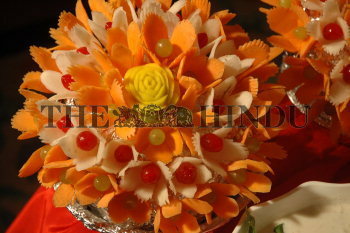 Caption : VIJAYAWADA (AP) 02/-05/2007: Vegetable carving items at a food festival in Vijayawada . PHOTO: CH_VIJAYA BHASKAR. 02-05-2007.